Are you planning on building a treehouse? Sounds simple enough, right? 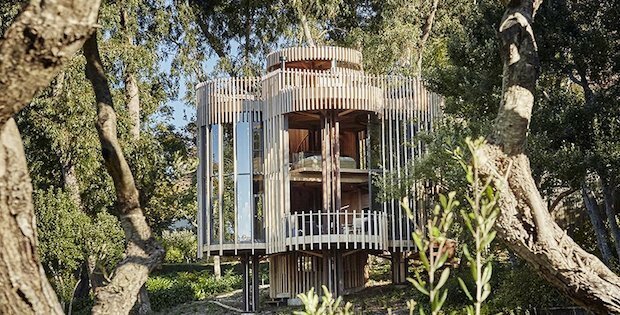 It’s basically a house on a tree after all, but if you want to up your treehouse game to a new level try these simple guidelines and your treehouse may end up standing out from all other treehouses… without really standing out. Firstly try incorporating the surroundings into the design of your treehouse. 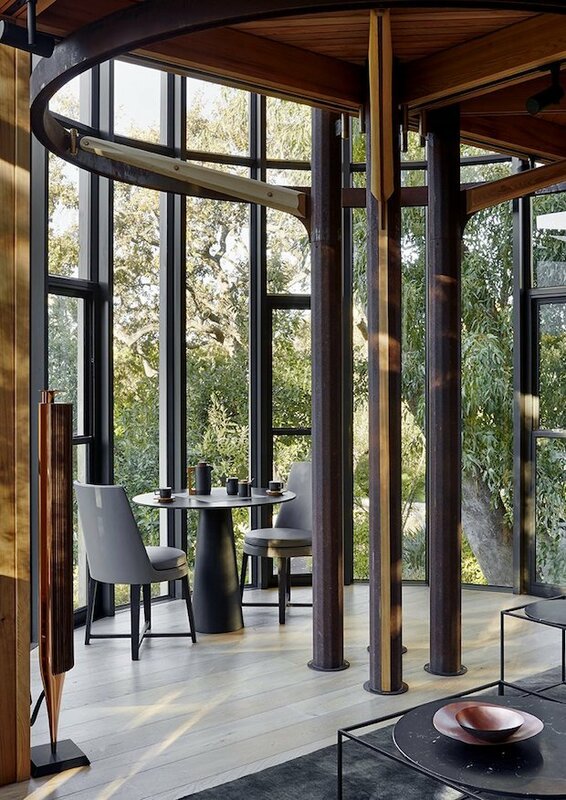 Make use of a design that will help your treehouse blend naturally with its surroundings so it can be a part of nature rather than something trying to separate itself from it; as seen here where the featured treehouse, called the Paarman Tree Home in Western Cape, South Africa, was designed to have vertical beams to mimic the surrounding trees. 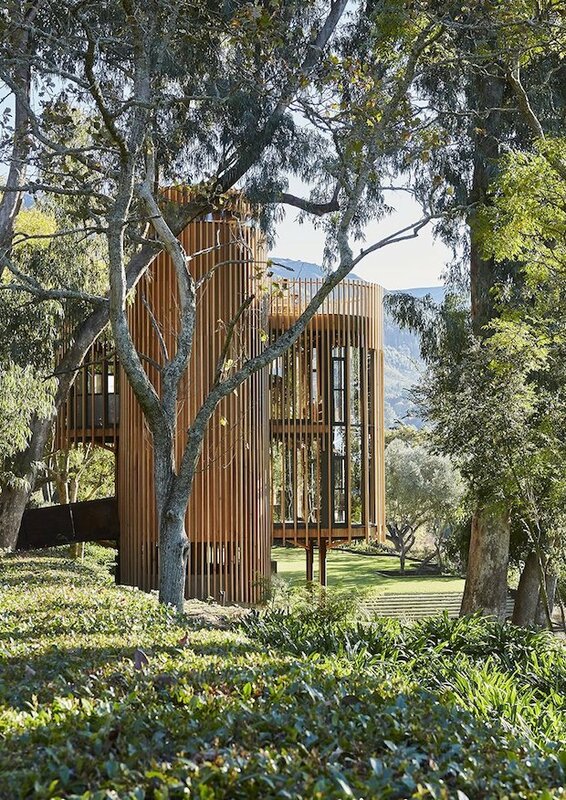 Next, since treehouses are situated at various heights above the ground that means your treehouse would have access to some fantastic views of the surrounding landscape, so why not use that information when designing your treehouse? 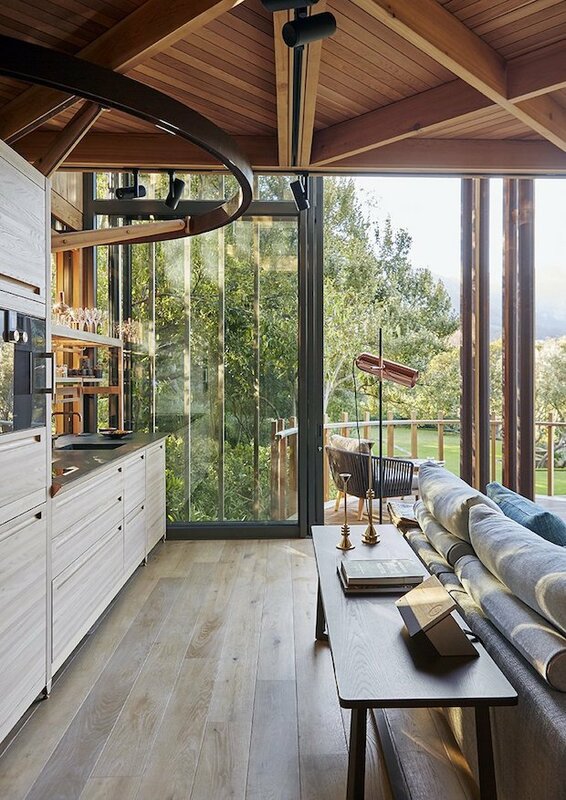 In the case of this featured treehouse, the designer gave his shelter lots of tall and wide windows and glass walls in order for him to take in all the beautiful scenery. Lastly, don’t be afraid to add in your own personal touches to your design to truly make it a place you can call your home upon the trees, because in our opinion nothing dictates what makes a home truly your home more than that little detail.